Federal Reserve Board Chairman Jerome Powell pauses during a news conference on Jan. 30, 2019 in Washington, D.C.
Jay Powell just out-Polozed Stephen Poloz. No, the head of the U.S. Federal Reserve did not come out with a string of colourful metaphors that would put his counterpart at the Bank of Canada to shame. But in delivering a policy decision on Wednesday that held interest rates steady while walking back expectations for further increases, Mr. Powell borrowed more than a few pages from Mr. Poloz’s playbook – not the least of which was the willingness to surprise the markets. The Fed followed the Bank of Canada in signalling that it, too, sees fit to take a pronounced (and perhaps prolonged) break from the rate-hike stairmaster. Mr. Powell has been preaching “patience” on future rate increases for weeks now, in light of moderating economic growth and growing uncertainties, so the Fed’s decision to incorporate the word into the text of its rate announcement was entirely predictable. But where Mr. Poloz earlier this month made it clear that he still expected to resume hikes at some point, Mr. Powell provided no such assurances. The Fed purged from its statement its long-standing assertion that “further gradual increases” in its key interest rate would be appropriate to keep the economy on a sustainable growth path. In its place is language about future “adjustments” to rates. Mr. Powell effectively shifted the Fed down from second gear to a hard neutral. Suddenly, the next move could just as easily be a rate cut as a hike. 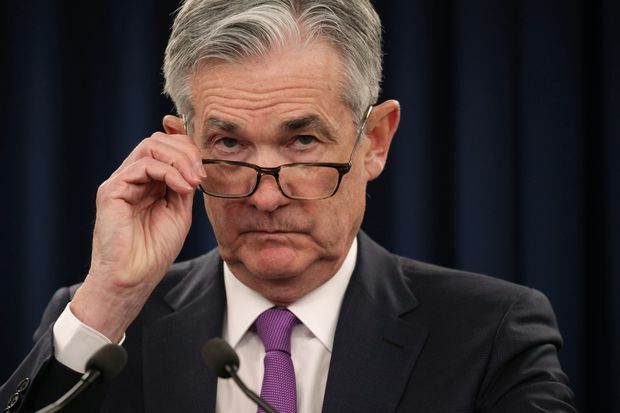 “It’s going to depend entirely on the data,” Mr. Powell told a news conference after the rate decision when asked directly whether “adjustments” was code that indicates a rate cut is now part of his potential policy mix. After the rate announcement, the U.S. dollar slumped, bond yields fell and stocks surged. If Mr. Powell’s intent was to get traders’ attention, mission accomplished. And yet, Mr. Powell said the change of tune came despite no change to the Fed’s broad outlook. It still believes the economy is growing solidly, that the labour market is strong, that inflation will stabilize around the Fed’s 2-per-cent objective. What has changed, Mr. Powell stressed, are the risks to this outlook. The slowing global economy, the China-U.S. trade dispute, Brexit, the uncertain impact of the U.S. government shutdown (not to mention whether it could be shut down again) – the risks are piling up to the downside. So, Mr. Powell concluded, “Common-sense risk management suggests patience” on the interest-rate front. He’s playing Stephen Poloz’s greatest hits almost note for note. And it’s not just the quick shift from the mantra of steady hikes to sitting on his hands, or the willingness to change tone more dramatically than markets had anticipated. 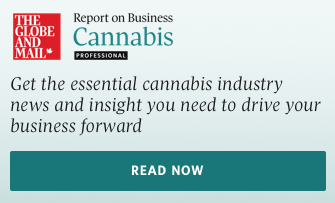 Most notable is the focus on risk management surrounding the economic outlook – something that has been central to Mr. Poloz’s policy approach during his tenure at the Bank of Canada. But the echoes go further. In a single rate statement, Mr. Powell removed the Fed’s guidance on the direction of future rate moves and all but demanded that financial markets interpret the economic data themselves if they want to know where rates are going and when. He also thoroughly rewrote key sections of the Fed’s rate statement, in which changes are usually measured in a few words. All of these are shifts not so much in rate policy itself, but in the whole approach to and language of monetary policy, which Canadians have had to get used to under Mr. Poloz – and that is being introduced to Americans now as Mr. Powell puts more of his personal imprint on the job he took over last February. As Mr. Poloz discovered, new messages delivered in unfamiliar ways are highly susceptible to misinterpretation. Mr. Powell got a sense of that just minutes into his news conference. He faced questions about whether he had caved to President Donald Trump’s criticisms that the Fed’s rate hikes were hurting the U.S. economy, or whether he was halting the climb in response to deterioration in market conditions. “My only motivation is to do the right thing for the economy and the American people,” Mr. Powell insisted. If Mr. Powell is committed to this new message, then it will not be the last time that he will have to defend himself. Mr. Poloz has gradually brought the markets here in Canada around to an understanding of, if not an outright comfort with, his risk-management approach and his way of communicating it, but it has taken years. The end goal – to get financial markets to think more for themselves – is an important one for any central bank. But don’t expect the path to be smooth, or short.